Hike: Icehouse Canyon to Icehouse Saddle, Three Tee’s trail to Baldy Notch, Devil’s Backbone Trail to Mt. Baldy, Baldy Bowl Trail to Manker Flats. 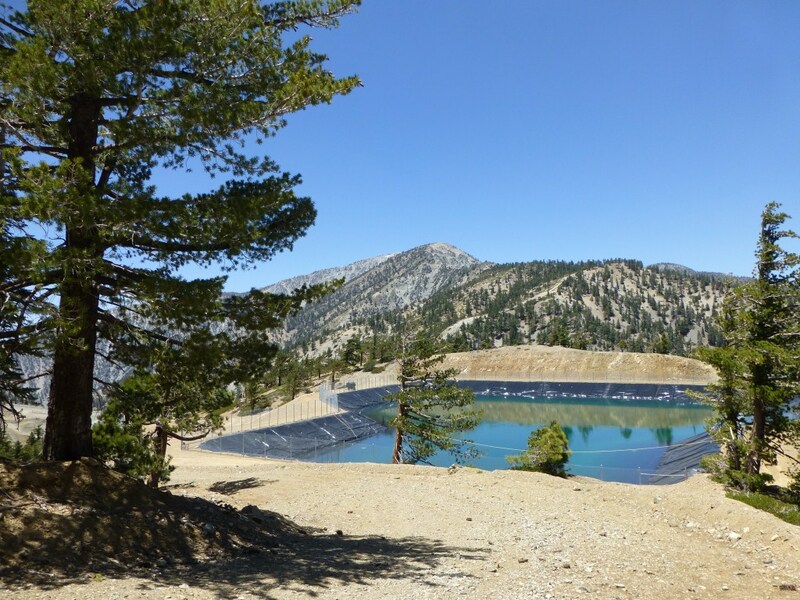 Note: This hike requires a car shuttle from Manker Flats to Icehouse Saddle. Stats: Icehouse Saddle to Mt. 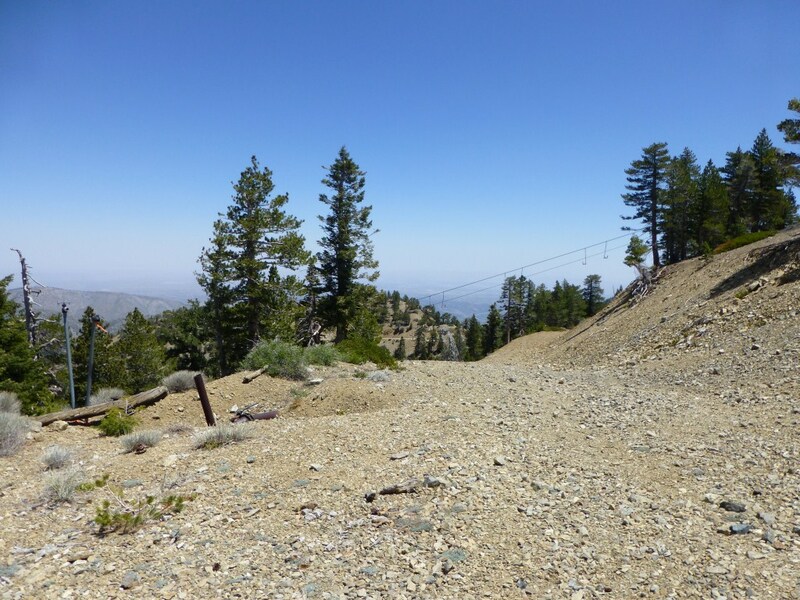 Baldy: 12.2 miles, 6785′ gain, 1856′ loss. Mt. 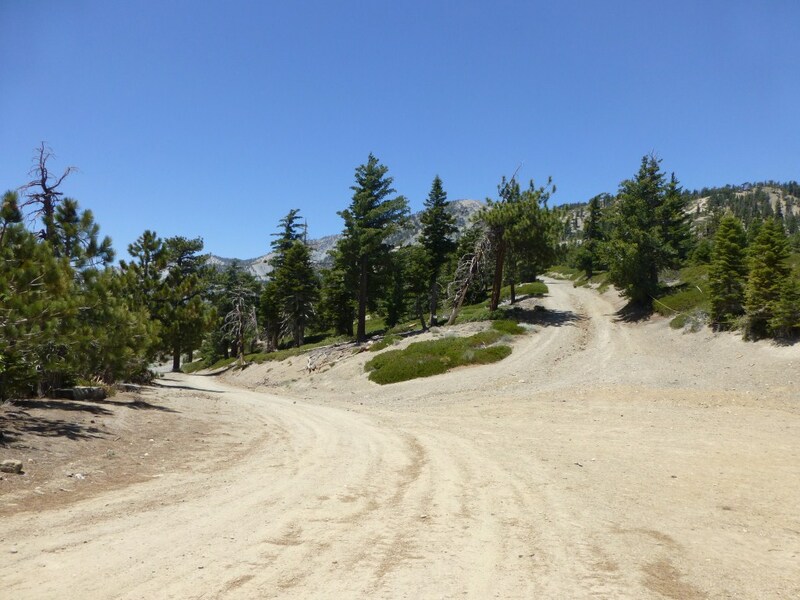 Baldy to Manker Flats: 4.2 miles, 3904′ loss. Total Loop: 16.4 miles, 6785′ gain, 5760′ loss. 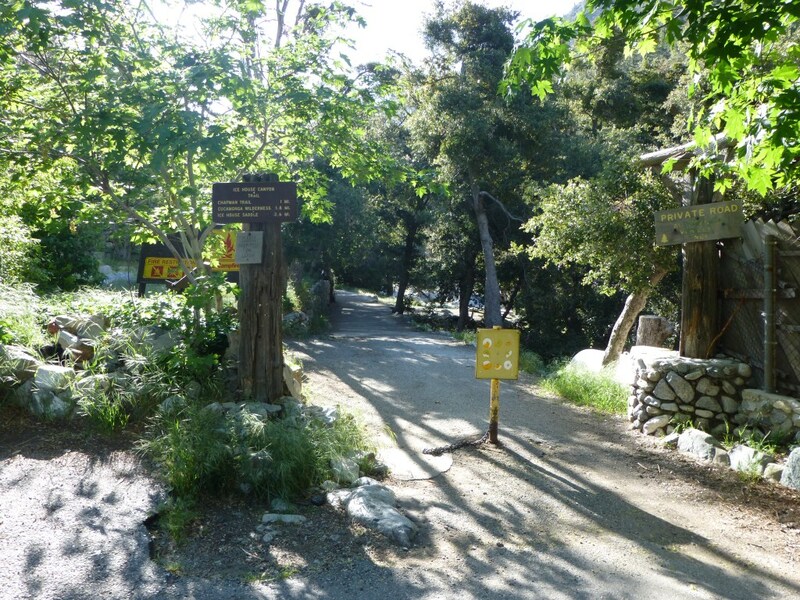 From the Icehouse Canyon Trailhead, head up Icehouse Canyon. From Icehouse Saddle there are several trailheads, but they are all clearly marked. Ttake the Three Tee’s Trail. At the Junction with the Timber Mountain Trail, continue on the Three Tee’s Trail. 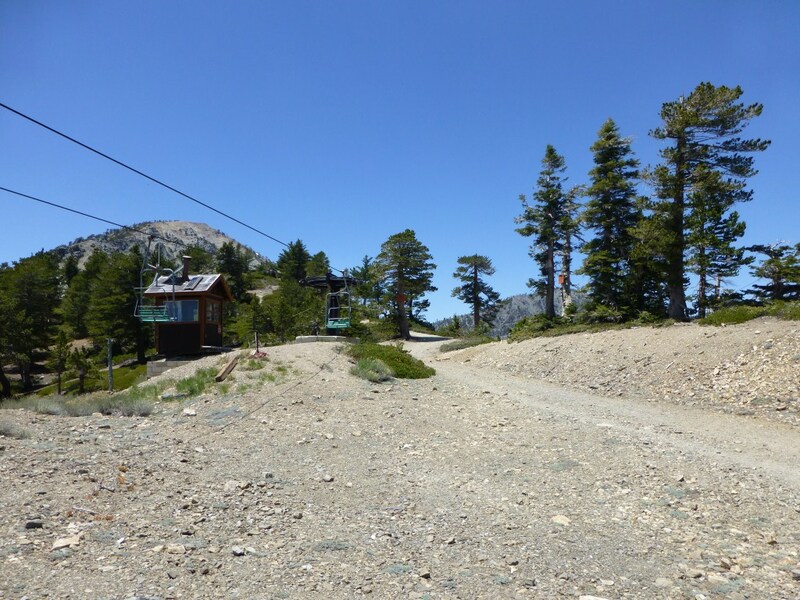 This will take you down into a saddle and then up to Telegraph Peak. Optionally, you could add a summit trek up to Timber Mountain but that isn’t calculated in the stats above. At the junction to Telegraph Peak, continue along the Three Tee’s Trail. This will take you down into another saddle and up to Thunder Mountain. Like Timber Mountain, the trail to the summit isn’t calculated in the stats above. 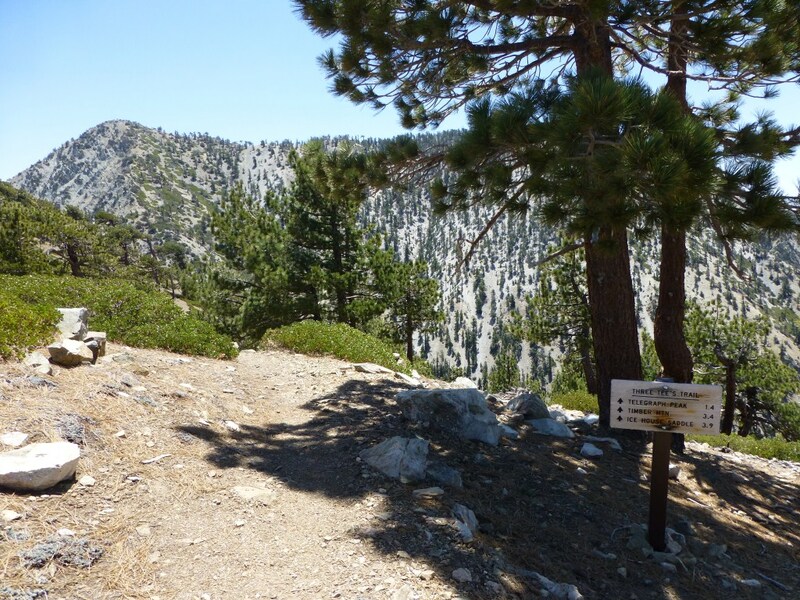 Close to Thunder Mountain Peak you will see another trail sign giving distances back down to Icehouse Canyon. Continue up toward the Peak (again reaching the Peak isn’t in the stats above). Trail Marker at end of Three Tee’s Trail near the Thunder Mountain Peak. On the left side of the road/ski run leading to the summit of Thunder Mountain is a road that leads down to Baldy notch. As you head down the road, you will see a split. On the left is a ski run. Continue along the road to the right. Junction with ski run. Continue down road on right. Down at Baldy Notch, you reach a junction of three roads. 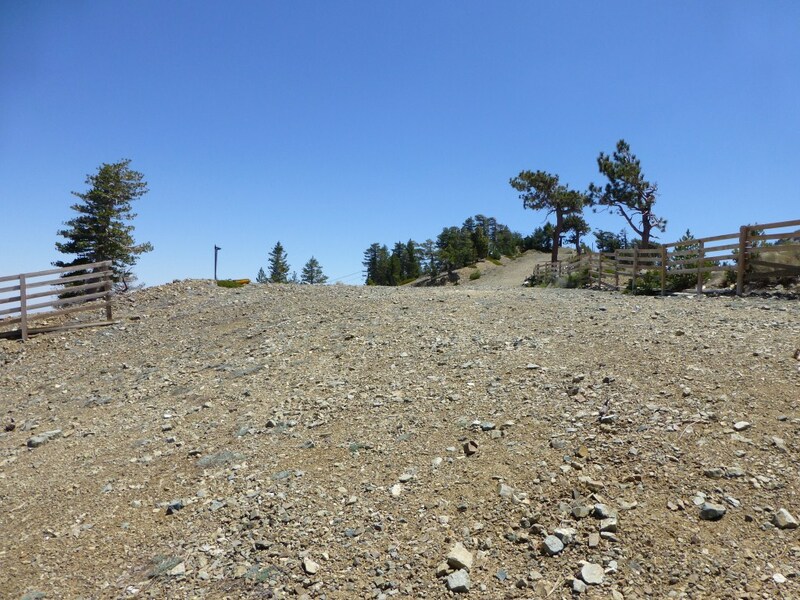 The left one leads down to the ski lift area, another on the right leads down to Stockton Flat. 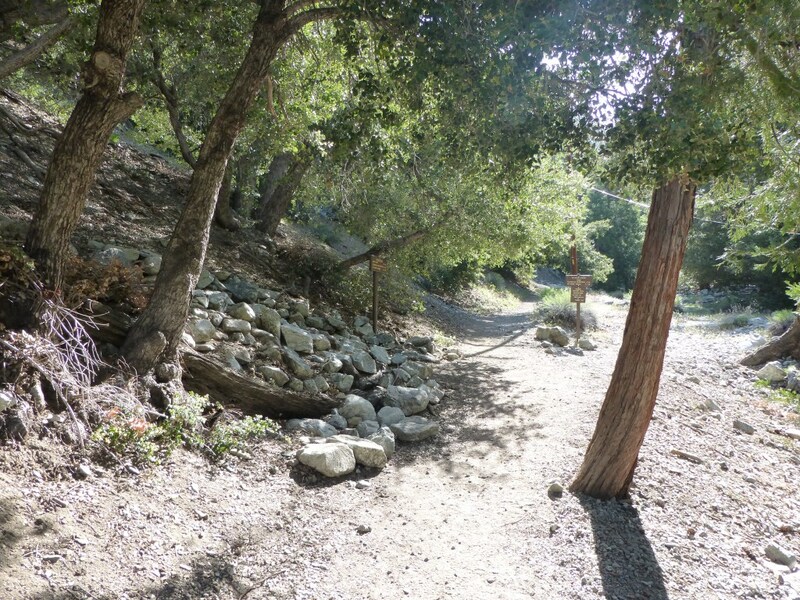 The one you want to take is the one in middle leading up to the Devil’s Backbone Trail. View of junction at Baldy notch showing road to the left leading down and middle road leading up to the Devil’s Backbone Trail to Mt. Baldy. 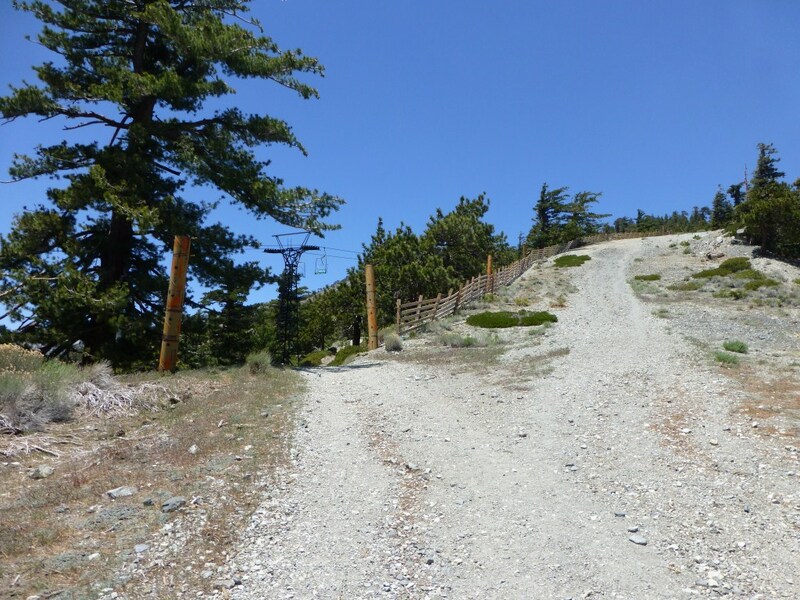 From here you can take the road up to the top of the ski lift and the beginning of the Devil’s Backbone Trail, or you can take the path that isn’t as steep. This path switchbacks under the ski lift a few times and and meets the steeper road in a couple places. I prefer to take the path. The first junction of the path and the road. The path is on the left. Devil’s Backbone starts at the top of the ski lift and leads to Mt. Baldy. From this point it’s straightforward to follow the trail up to Mt. Baldy. At Mt. 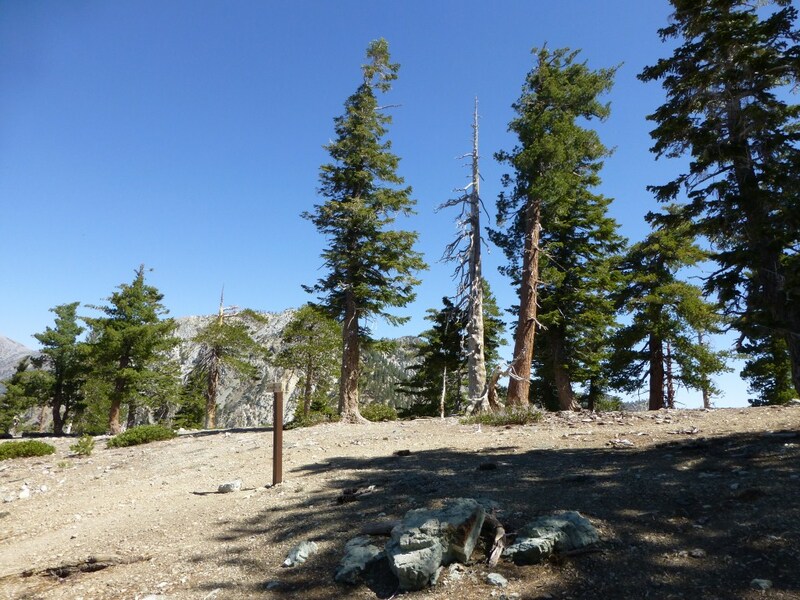 Baldy, there is an optical illusion when viewing West Baldy where West Baldy appears taller. 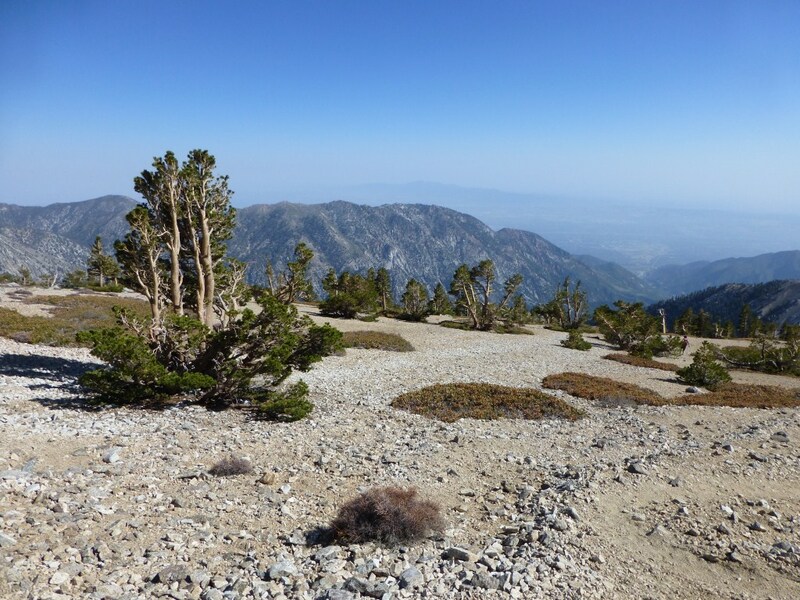 While it’s a nice trek to West Baldy (and once there you will verify it is lower), you are indeed standing on Mt. Baldy. 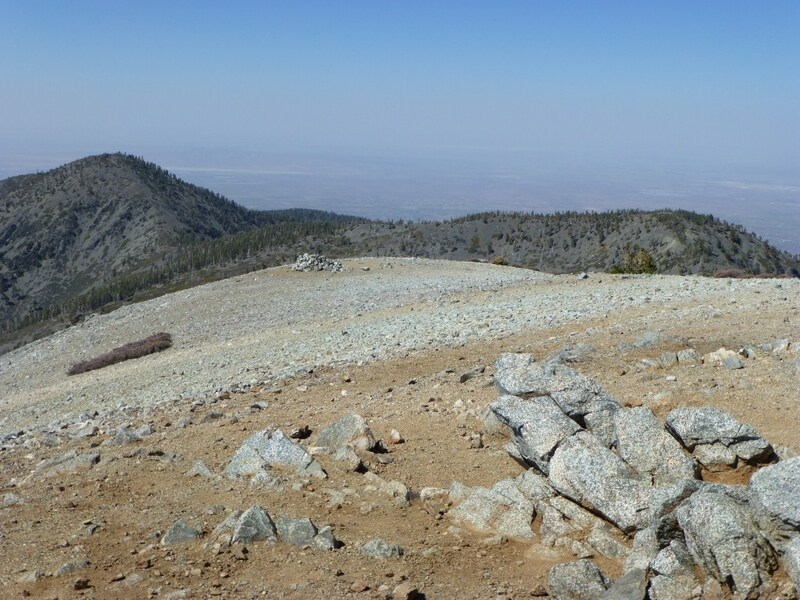 Significantly, the trail leading by West Baldy is the Mt. 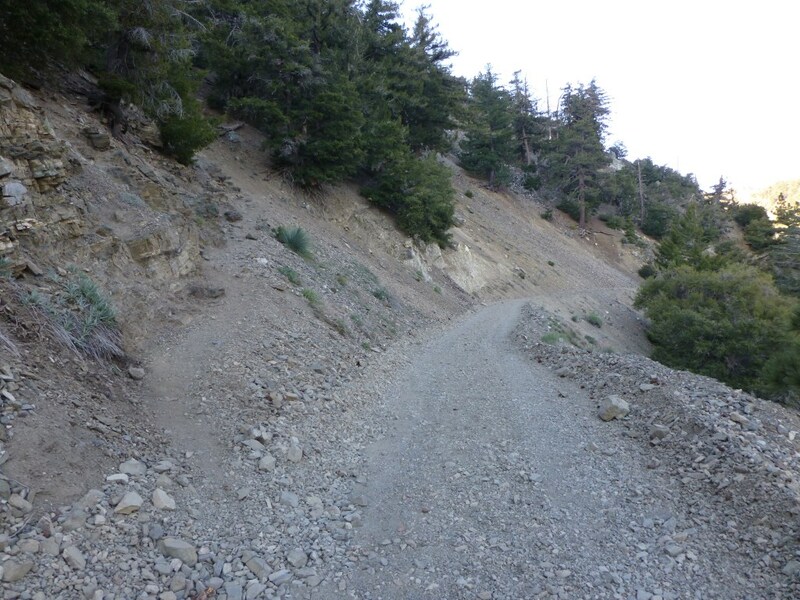 Baldy Trail which leads down to the Visitor’s Center–not Manker Flats. There are four major trails that converge at the summit. 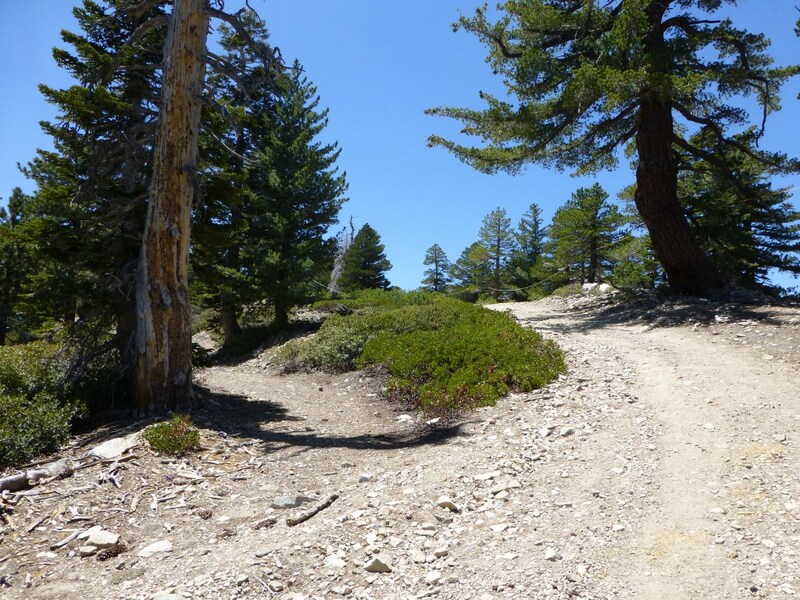 The North Backbone Trail leads down to Mt. Dawson and Pine Mountain. 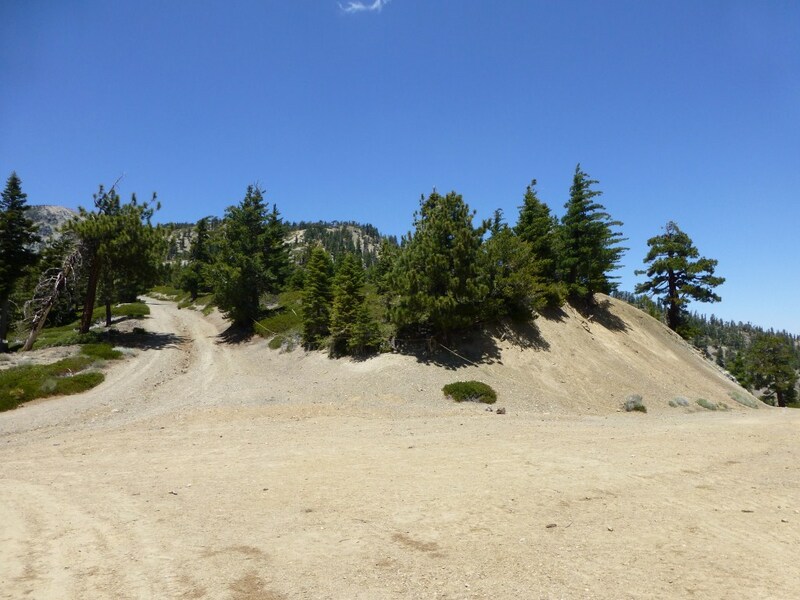 This hike continues down the Baldy Bowl trail leading to Manker Flats. This trail is fairly obvious to follow. However, the first time attempting it you might feel some concern as there are multiple paths that constantly criss-cross their way down the mountain. The one spot where it’s important to go a certain way (and may not be immediately obvious whether or not you’re proceeding in the right direction) is marked with a sign. 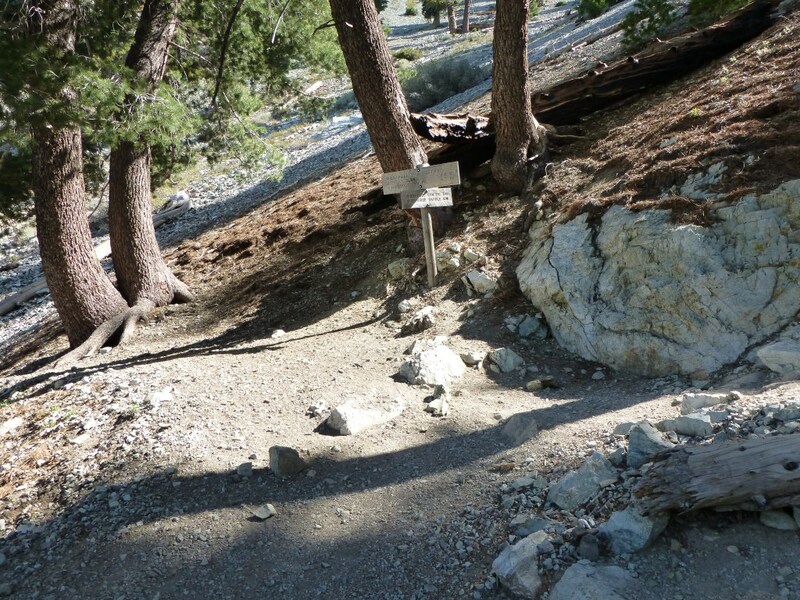 Sign in key spot showing the way to continue down the Baldy Bowl Trail down to Manker Flats. 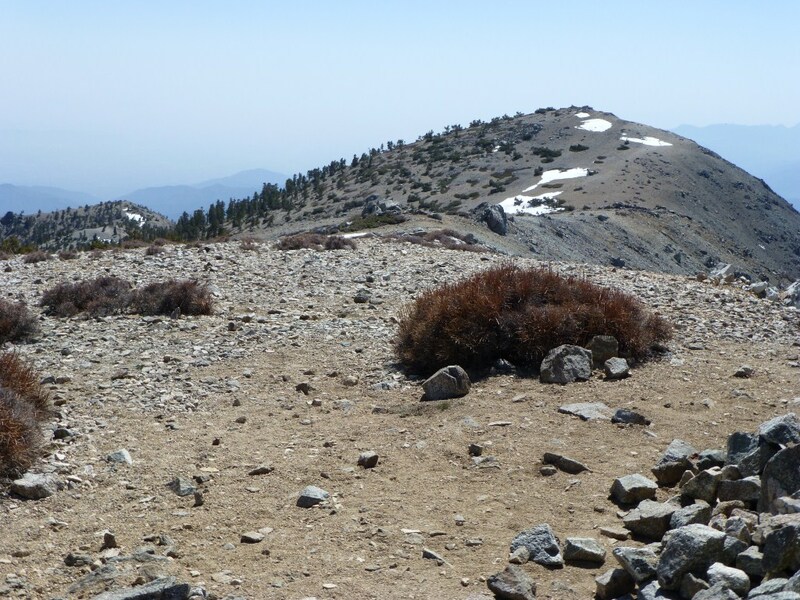 From this point you will just follow the trail down to the bottom of the bowl, then past the San Antonio Ski Hut, and finally reach the road leading down to Manker Flats. 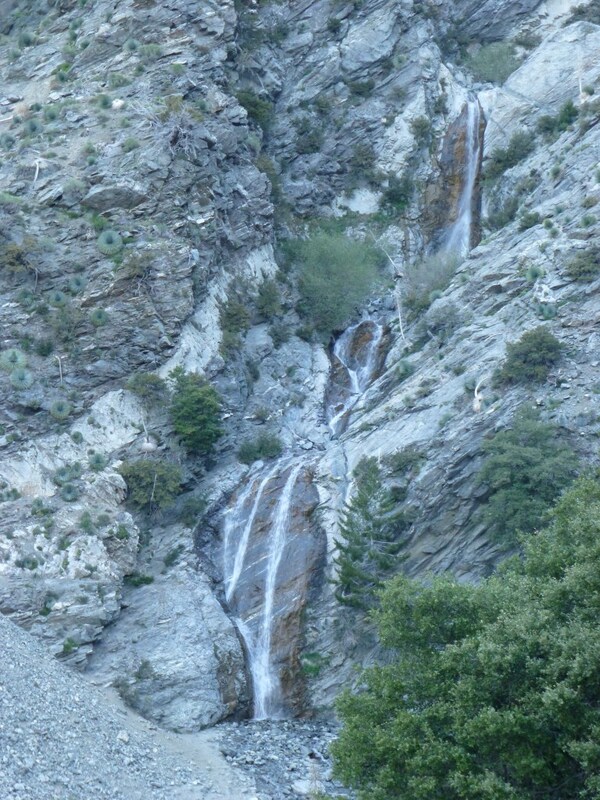 Along the road leading down to Manker Flats, there is a great view of San Antonio Falls. 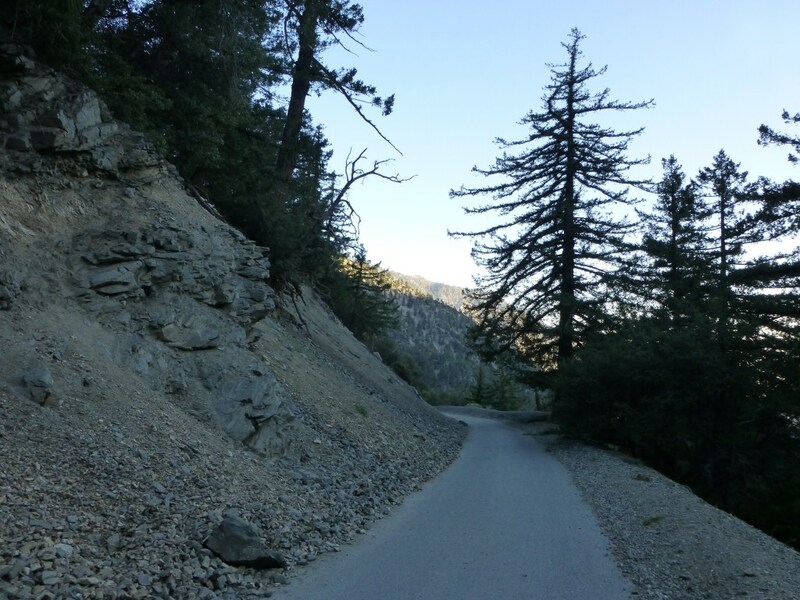 The road then turns to pavement and leads down to Manker Flats. what is the distance from the notch to icehouse saddle? 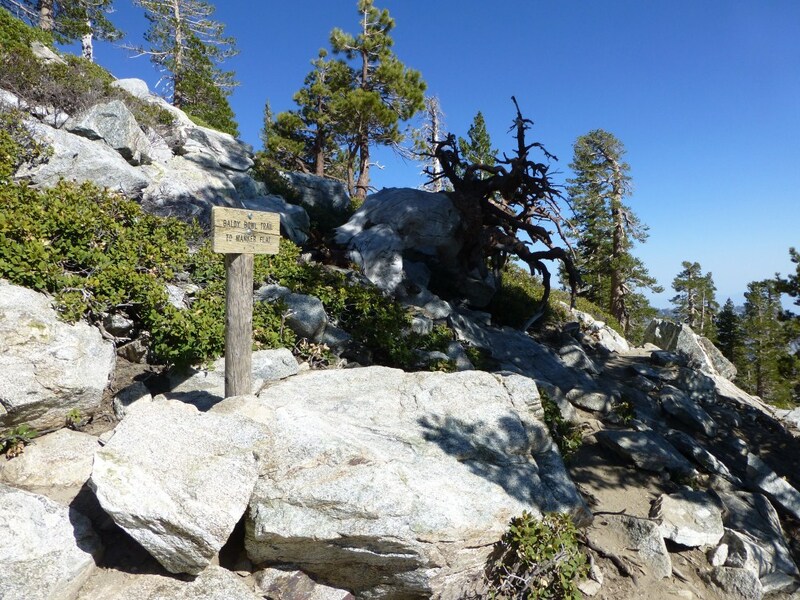 I enjoyed this route which was a training hike for an upcoming 90 mile trip I have planned on the JMT. I had 35 lbs in my pack and averaged 2mph for the entire trek of 24.4 miles up and back. A very enjoyable and challenging hike! A nice pace carrying a full pack. 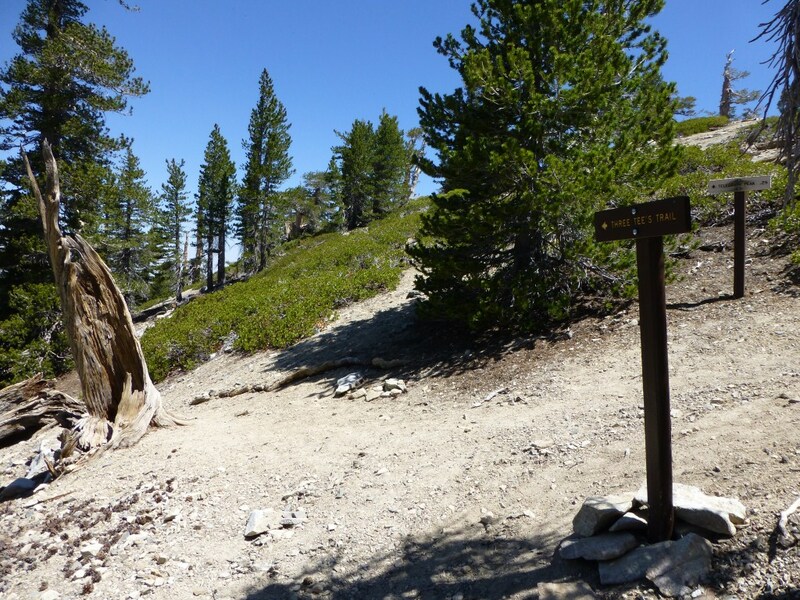 Have a great trip on the JMT! 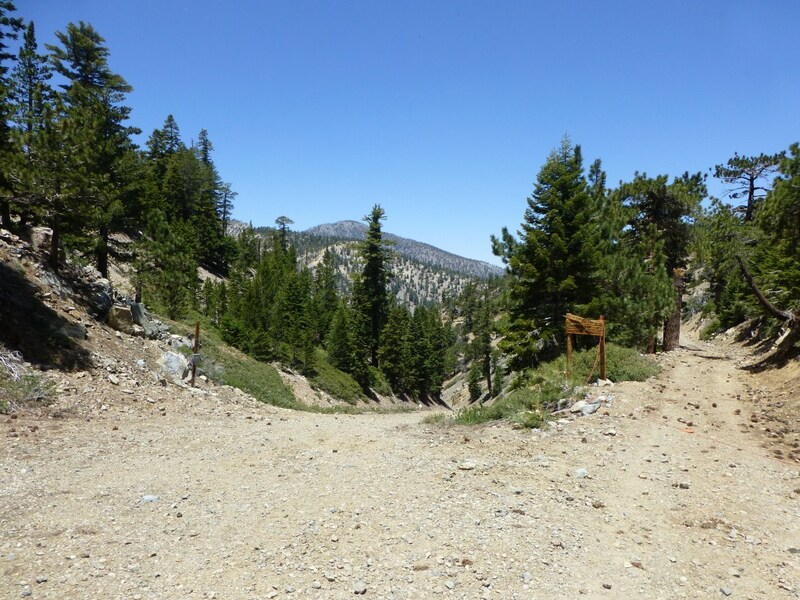 I trekked from Icehouse trailhead to Mt Baldy and went back down the same way in 12.5 hours 24.4 miles on Sat 8/24. This was as challenging as cactus to clouds and the views were equally spectacular. Planning to take this trek on Memorial Weekend, spend the night at the Summit, do you think it;s feasible? 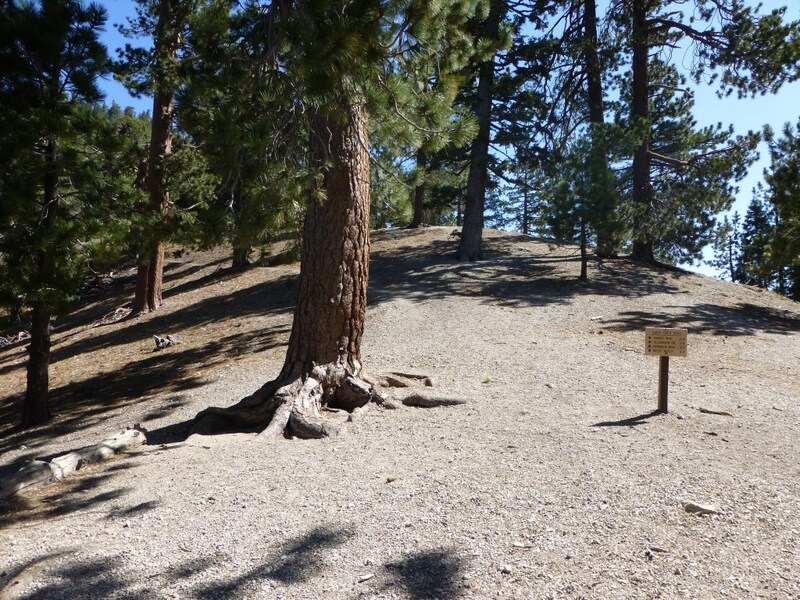 Look at the picture with the caption, “Three Tee’s Trailhead at Icehouse Saddle.” The tree next to the sign is a Jeffrey pine. Just so you know. Cool, apparently I’ve seen lots of them.